Guess who’s back. Back again. Me, I’m back! 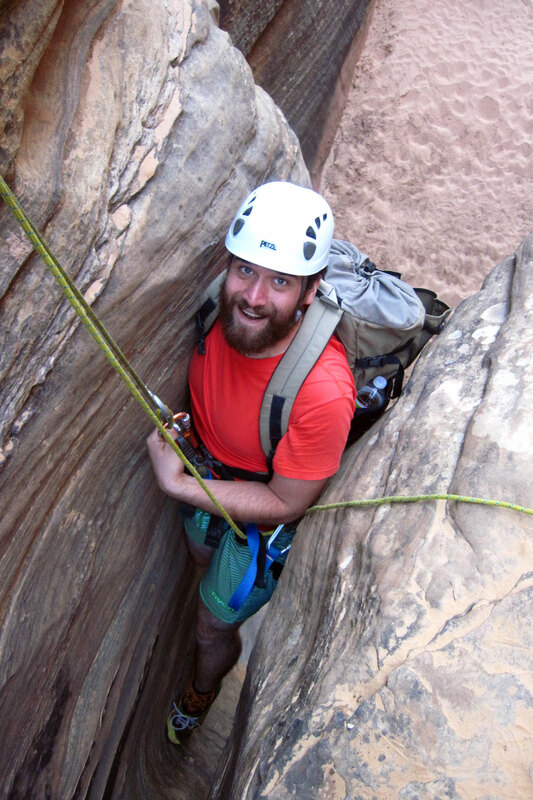 Back from my Zion adventure, and the last of my summertime trips. Talk about saving the best for last, Zion was incredible. I had been to the park once before as a rock-climbing tween and couldn’t wait to return to the fiery waves of sandstone. Though the park remained magnificent in my mind, I was still blown away by its beauty upon my return. I’m quite positive now that Zion is my favorite National Park, although there are still many I haven’t explored. In time. 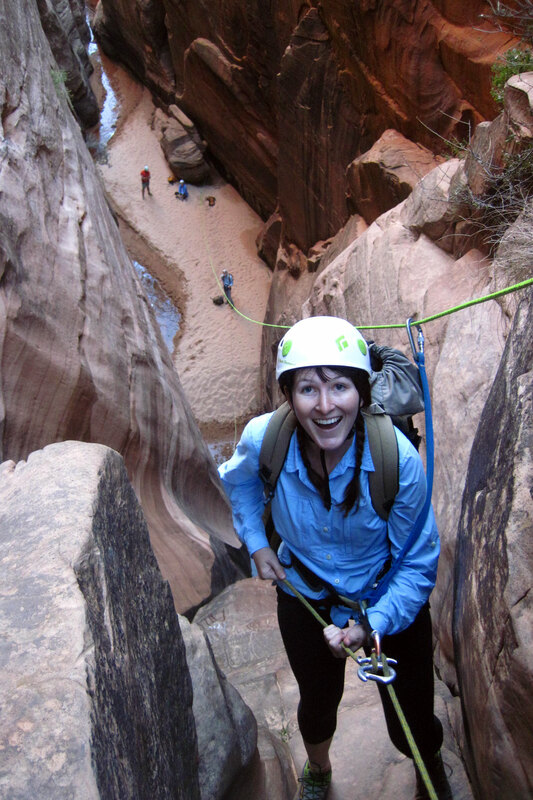 We spent our days hiking through slot canyons, up ridges and along pretty scary windy cliffs, but the most exciting day was the one pictured here, which we spent canyoneering. 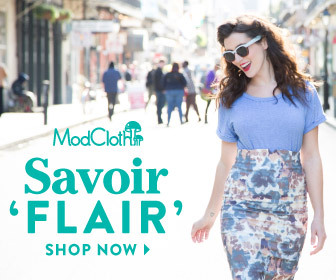 Guys, I have a new obsession. 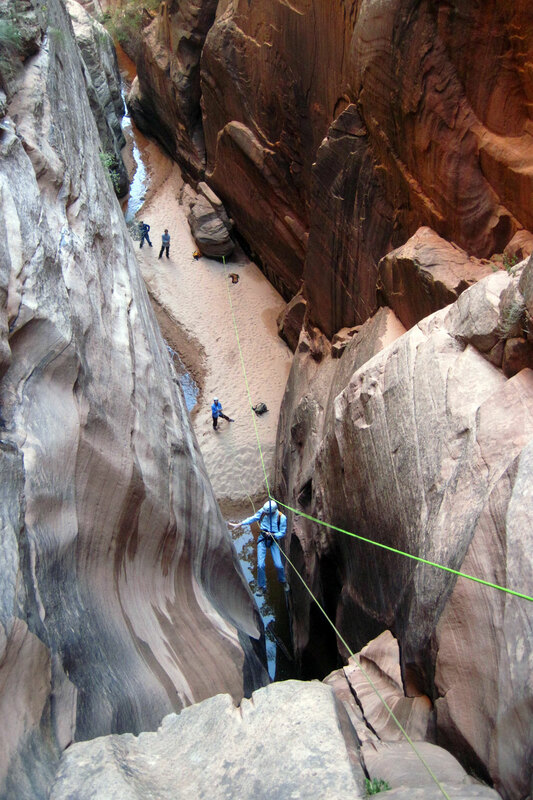 It’s called canyoneering. It’s terrifying and it’s awesome. 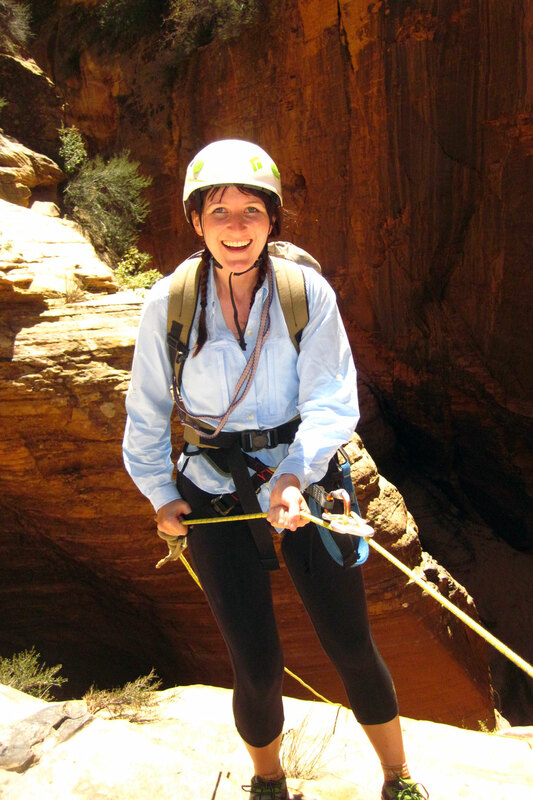 I don’t think I stopped shaking until I repelled down the last cliff, a mere 115 feet. No pressure. Have you ever been to a rock climbing gym? 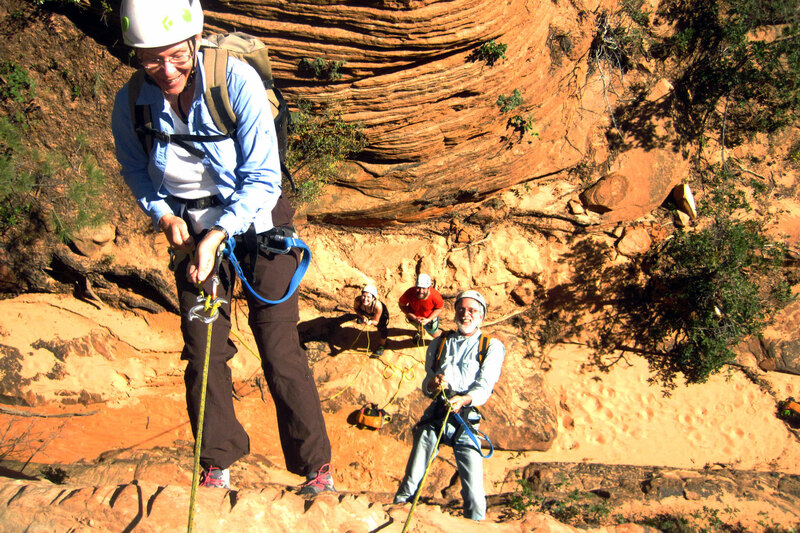 You know how someone belays you so you don’t really have to think about your descent? 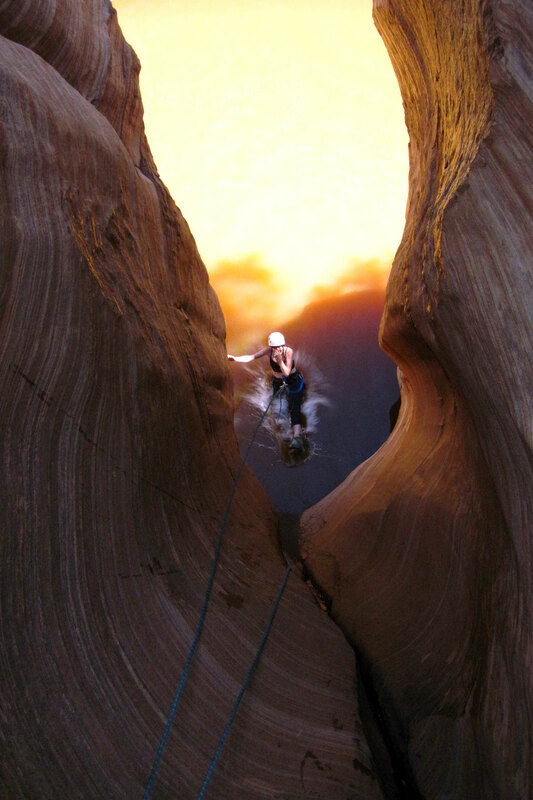 That’s how I thought canyoneering would be. Wrong. 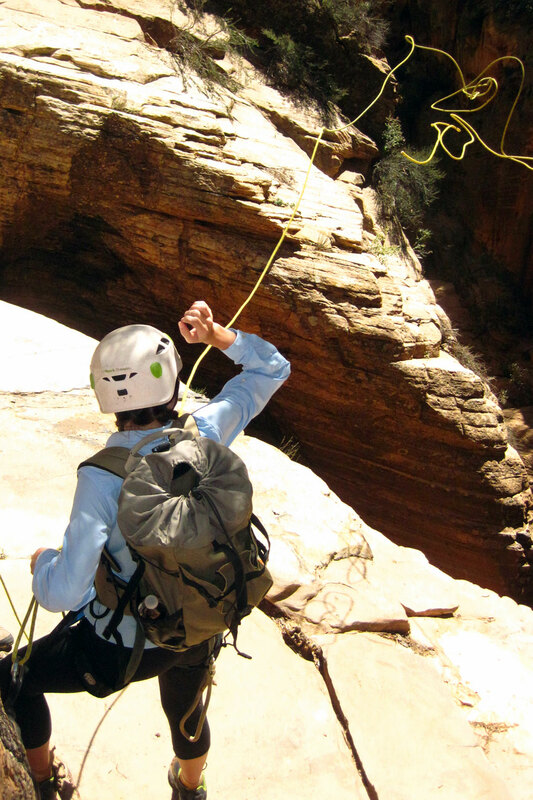 In canyoneering, you control everything all by yourself, speed, resistance… everything. All the while trying not to freak out as you walk backwards off of a cliff. Obviously, we had a guide, Bill, who taught us everything and checked our knots so we wouldn’t die, but we sure did a lot on our own. 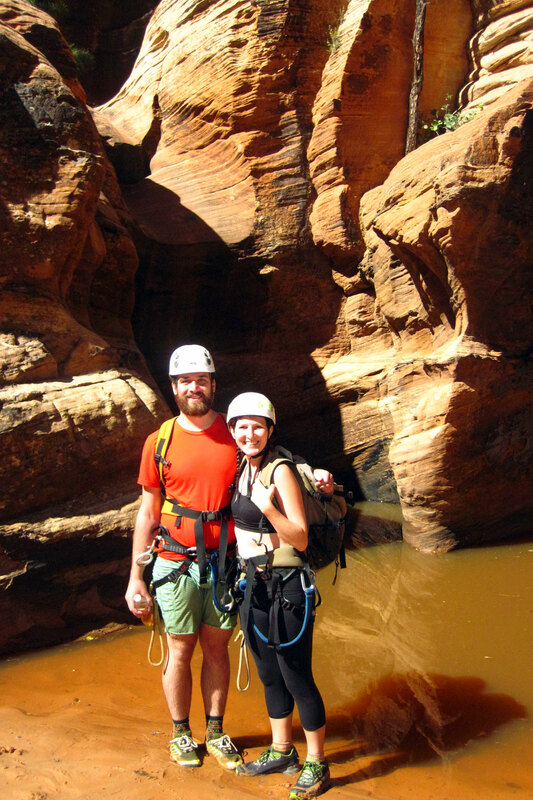 The cool thing about canyoneering is you never know what’s going to happen. Flash floods are always changing the canyons so they can look completely different from one week to the next. You just encounter obstacles and try to figure out how to get past them. So we weren’t just repelling down rocks, sometimes we had to zip-line across water or invent some other creative way to get to where we needed to be. It was so much fun that Nick and I are already looking into training courses in the mountains around us. 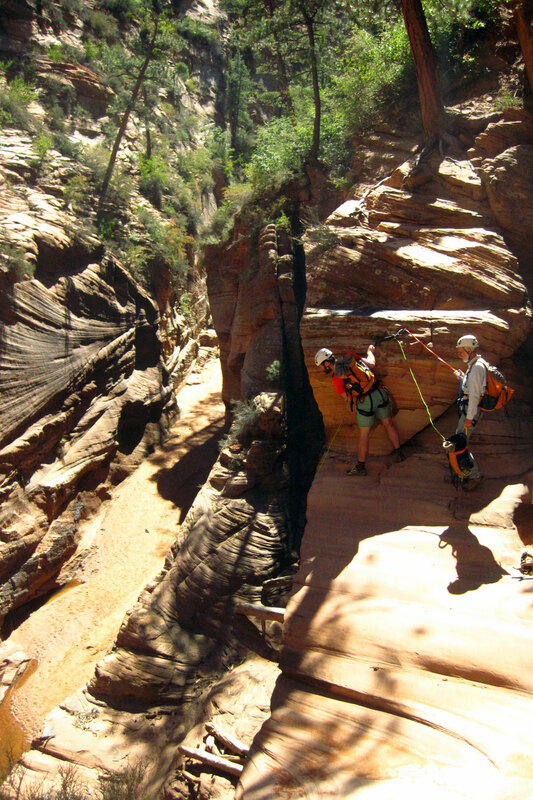 Just you wait, in a couple months I might be a canyoneering superstar. That’d be pretty rad.